A lot of different situations can end with you needing a winch out. From taking a turn too sharply and ending up in a ditch to finding out your new off road route to the grocery store isn’t as much of a “shortcut” as a mud pit- there a lot of ways to get stuck off road. Of course there is always the Colorado snow that either stops you outright or slides your vehicle into a winter wonderland. 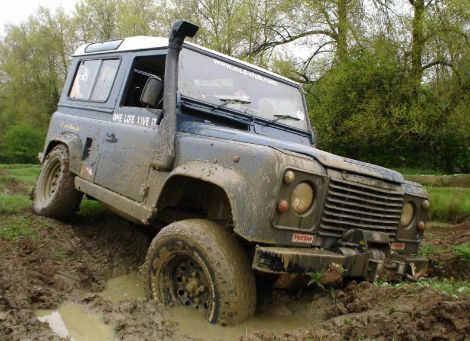 The point is, there are plenty of ways to get your vehicle a little too far off the beaten path. That’s where Denver Super Towing comes in- we are equipped with the latest and greatest winching equipment to get you back on the road. First off, let us know what you are stuck in and a rough idea of how you got there. We just need to know what type of movement got your vehicle stuck so we can have a better idea of what movements will get you unstuck! How far is your vehicle from the closest paved road? We want to make sure we have enough cable to reach your ride. Are there any obstacles that we will need to work around? The easiest path is a straight line but we don’t always have that choice when it comes to getting your vehicle back on the road. We have a plan for every problem so just let us know what might be in our way and we can make sure to bring the necessary equipment. Once we have the basics our nearest tow truck will be on the way to get you unstuck!